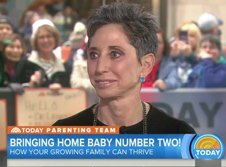 From sleep and food issues, siblings, tantrums, divorce, adolescence, and virtually anything else that causes a family stress… Betsy Brown Braun’s reputation as an expert child development and behavioral specialist is unparalleled. …a wise, humorous, and caring advisor……an invaluable source of wisdom and encouragement……a caring, dedicated professional……an amazing person who (is admired) for her ability to give such helpful and thoughtful advice in all situations put in front of her……our modern-day version of the ‘village elder’ from whom we all seek counsel…. Here are more testimonials from parents and pediatricians about Betsy, as well as bloggers and editors about her bestselling book Just Tell Me What To Say.